Fire Fountain Add-On Kit for Rippled Urns - Aquascape, Inc. Prepare to be amazed at the difference fire can make for your fountain. Ideal for use with Rippled Urns, the Aquascape Fire Fountain Add-on Kit is made from durable GFRC (glass fiber reinforced concrete) and high-quality stainless steel, providing years of trouble-free use. The Aquascape Fire Fountain Add-on Kits long-lasting wick will provide hours of enjoyment. Simply add paraffin or citronella fuel (sold separately) to transform any outdoor space into a cozy backyard paradise. 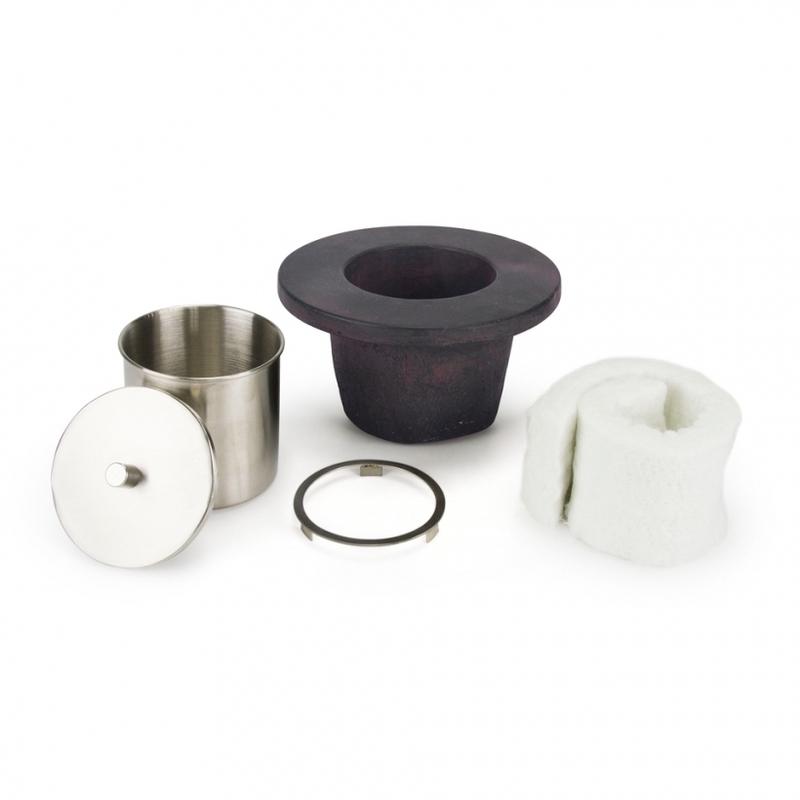 Kit includes fire pot holder, fire pot, cover, wick, and wick ring. Aquascape is passionate about the products we produce, providing unique products, designs, and features that stand above the competition.